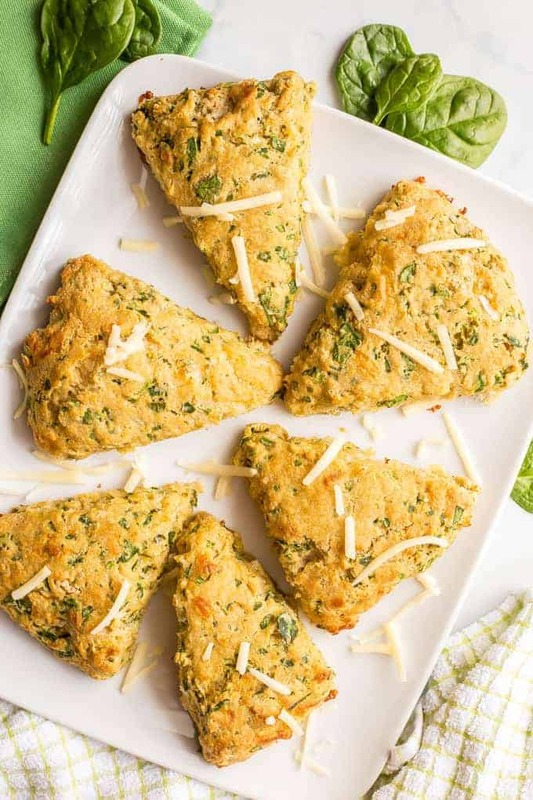 Whole wheat spinach cheddar scones are fluffy, tender and easy to make. 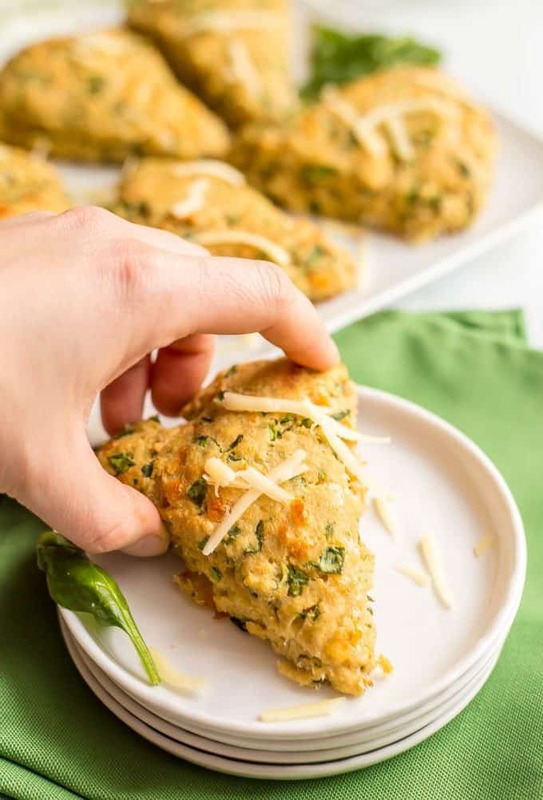 They’re loaded with spinach and cheddar cheese for a savory breakfast or brunch recipe that everyone loves! I had quite the surprising night last night. And as fate would have it, one of our friends decided to go into labor at the restaurant. Nothing overly dramatic, but the contractions kept coming. I took her outside a couple times to stroll and get some fresh air and when the contractions didn’t let up, we all headed to the hospital. I stayed with her in the triage room until her husband arrived. We stuck around to walk the hallways with her for a while and then headed out when they admitted her to a room. I’ll be waking up to check my phone and anxiously awaiting pictures of this sweet baby boy. 💙Such a special night! 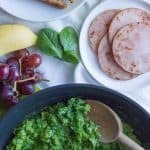 I usually make green eggs and ham for the kids in March (usually for Dr. Seuss’ birthday on March 2) but we sometimes have a brunch party and I’m all about serving some fun foods then, too. 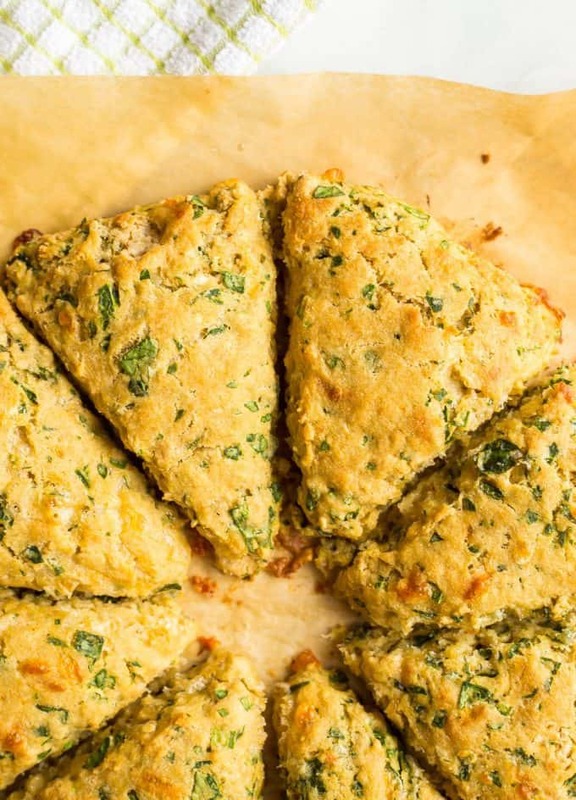 And these whole wheat spinach cheddar scones are a fun one for sure! 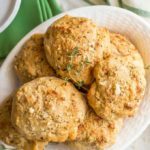 These savory scones are really easy to make — you just shape the dough into a big circle and cut it up — and they come out so fluffy and tender. They have chopped fresh spinach folded into the batter that leaves pretty green flecks throughout the scones. And they’ve got great cheddar flavor in every bite. Plus a golden brown crust that is seriously crave-worthy. Savory goodness right here my friends! I use white whole wheat flour, but you could substitute whole wheat flour or all-purpose flour if you prefer. I use white cheddar cheese, but any kind will do. 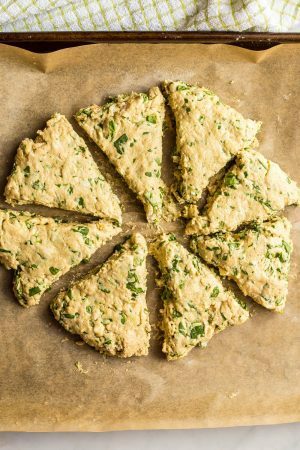 I chop the fresh baby spinach for this recipe but if you want to turn the scones a little more green, you can pulse it in a food processor to really break it down. (Just don’t let it go too long and become a liquid.) I do that for my spinach banana mini muffins and it makes them a pretty light shade of green. 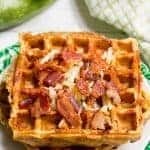 Want to make these ahead? I’ve done that before and just rewarmed them in the oven before serving. It took about 10 minutes on 325. It helps to brush on some extra butter before you bake them again. I also like to sprinkle the scones with a little coarse sea salt (it’ll stick to the butter) but that’s optional. 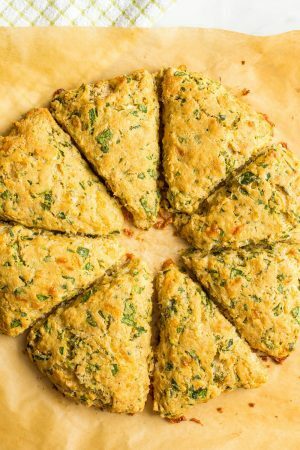 I wrote the recipe to make 8 large scones but if you are serving these at a party, I suggest cutting them into smaller triangles. You could also shape the dough into a large square and cut the scones into small squares if you prefer. 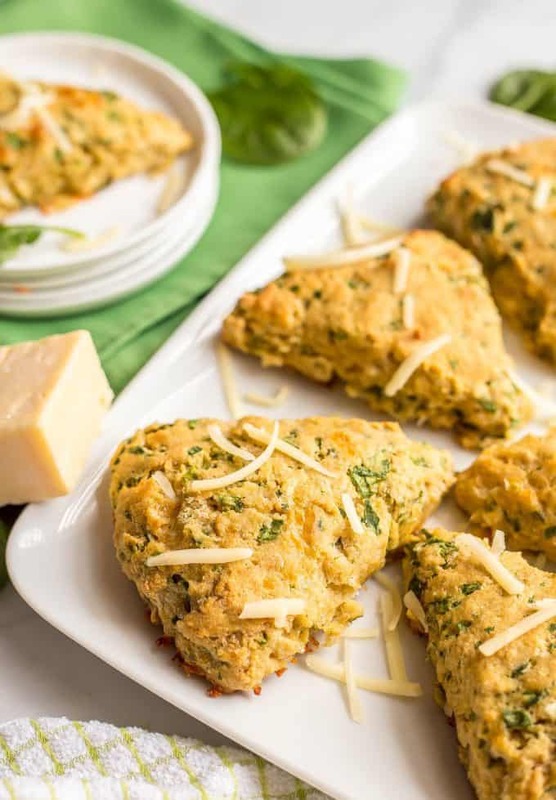 Whether for St. Patrick’s Day, a brunch party or just a fun savory breakfast treat that’s a healthier option, I hope you give these whole wheat spinach cheddar scones a try. 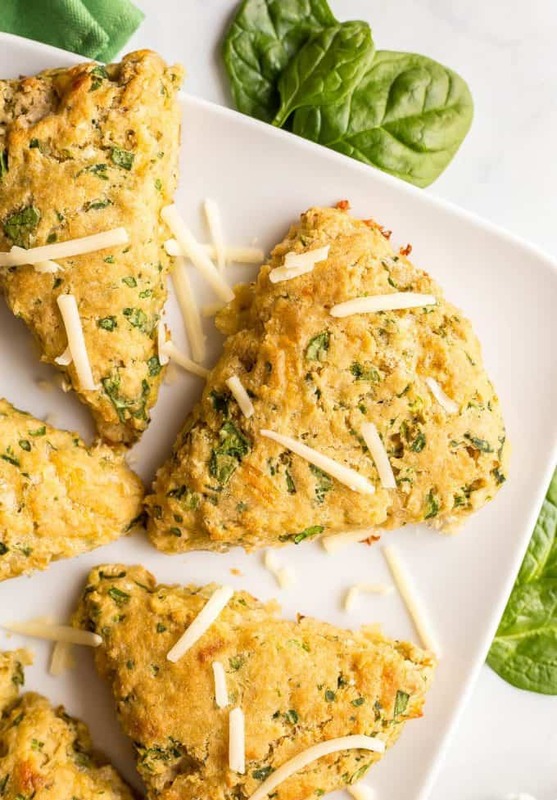 Whole wheat spinach cheddar scones are fluffy, tender and easy to make - perfect for breakfast or brunch! In a large bowl, combine flour, baking powder and salt and stir to mix well. 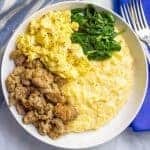 Add cheese, spinach, onion and milk and stir until just combined. 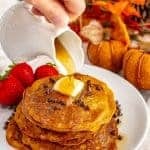 Turn the dough out onto a floured service and use your hands to shape it into a large round disk, about 1 inch thick and 8 inches in diameter. Cut into 8 even triangles and arrange on the baking sheet, leaving some room between each scone. Brush the tops of each scone with the melted butter. Sprinkle with sea salt if desired. Bake at 425 for 14-16 minutes, until scones are cooked through and tops are a light golden brown. 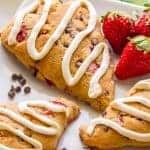 Want to make these ahead? Bake them as instructed and then cover until ready to serve. Rewarm them in the oven before serving. It takes about 10 minutes on 325. It helps to brush on some extra butter before you bake them again. These freeze great if you have any extras.